Former French president Nicolas Sarkozy was today cleared of corruption charges which could have seen him jailed for three years. 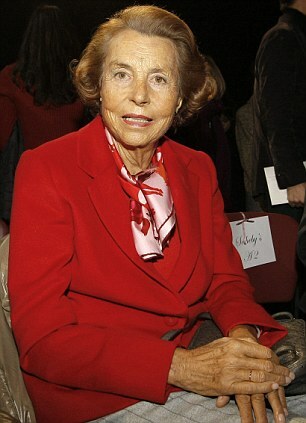 The 58-year-old politician had been accused of accepting brown envelopes stuffed with cash from Liliane Bettencourt, the l’Oreal heiress. But judges investigating the so-called ‘Bettencourt Affair’ have now formally dropped all charges. 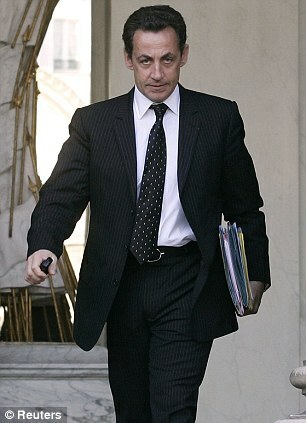 Mr Sarkozy still faces a number of other criminal enquiries, however – all of them related to alleged illegal funding. The Bettencourt case came to a dramatic head in March, when a judge in Bordeaux summoned Mr Sarkozy for a long grilling, after which preliminary charges were filed against him. It was said that he used Mrs Bettencourt’s millions to fund his 2007 election campaign – a claim he always denied. Mrs Bettencourt’s butler testified that Mr Sarkozy was a regular visitor to her home in the upmarket Paris suburb of Neuilly, where Mr Sarkozy was once mayor and still owns a home. It is alleged that one of Mr Sarkozy’s aides made separate visits, picking up more envelopes full of money from the mentally and physically frail multi-millionaire, who is France’s richest woman. But Mr Sarkozy insisted that he only saw Mrs Bettencourt once during 2007, and did not ask her for any money. Investigators suspect that up to £3.5 million worth of Bettencourt’s cash ended up with Mr Sarkozy’s party, the UMP, and others still face prosecution. Mr Sarkozy being cleared technically opens the way for him to stand again for president in 2017. He lost his job as head of state to Francois Hollande, the Socialist candidate, last year but is still popular with right-wing conservatives. However, a number of other enquiries are still active, including one known as the Karachi Affair. It involves a 2002 terrorist bombing in the Pakistani city that killed 11 French engineers – allegedly because kickbacks over submarine sales by France to Pakistan had not been paid. 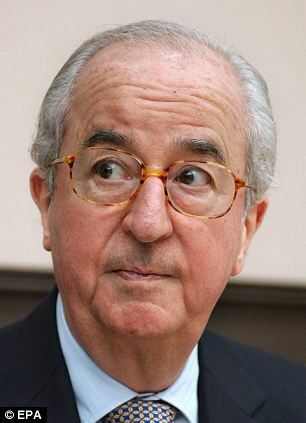 Money linked to the arms deals is said to have helped fund the 1995 presidential election campaign of former French prime minister Édouard Balladur – a campaign for which Mr Sarkozy was spokesman. Mr Sarkozy, who denies any wrong-doing, has also been accused of taking kick backs from former Libyan dictator Muammar Gaddafi. Since losing the presidential election, Mr Sarkozy has been living quietly in Paris with his third wife, the former model Carla Bruni. His mentor Jacques Chirac was found guilty in 2011 – the first modern French president to be convicted in a criminal court. He was found guilty of corruption dating back to his time as Paris mayor, and was given a suspended prison sentence. Mr Sarkozy was facing up to three years in prison, a fine of more than £300,000 and a five-year exclusion from politics if he had been found guilty.